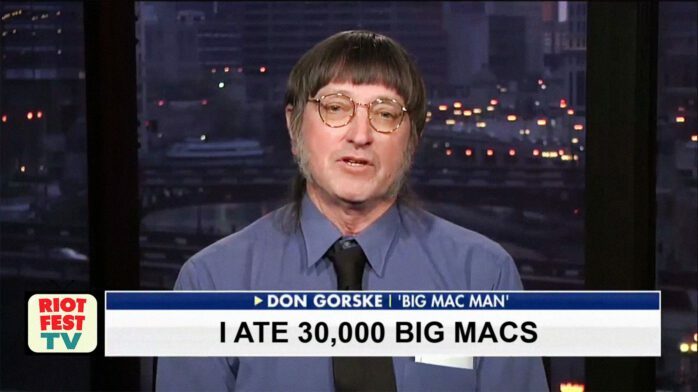 Since May 17, 1972, Don Gorske has eaten at least one McDonald’s Big Mac every day, and this past week he consumed his 30,000th. For those of you taking a look at the hard numbers, that’s 90,000 pieces of bun as well. A crowd of people actually came to the McDonald’s to watch Gorske eat that 30,000th Big Mac. Just to make sure you saw that bit of information, a crowd of people went to McDonald’s to watch another human eat an all-beef patty, with special sauce, lettuce, cheese, pickles, onions, on a sesame-seed bun. One. Whole. Crowd. Gorske has only gone about eight days without having a Big Mac, the first was in 1982 when a snowstorm closed the only McDonald’s he could get to. Another cheat day was April 27, 1988—the day his mother died. “She requested I not eat a Big Mac on the day she died, in remembrance of her,” he said. What a mensch. May he live to be 200!